Social media influencers: social media users who have a massive social reach, giving them the power to persuade others due to their specific industry credibility. In public relations, social media influencers are major players in creating buzz for various clients. 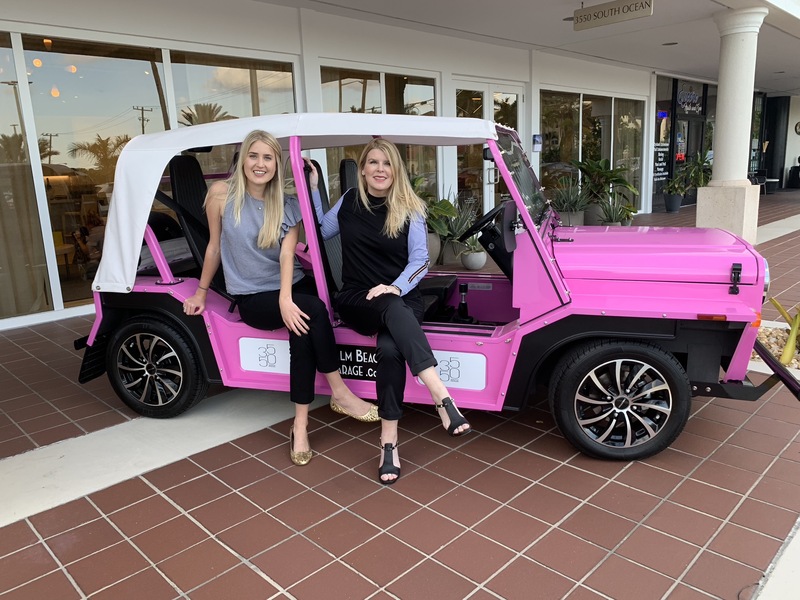 But at South Florida-based PR firm Durée & Company, we recently honed our PR creativity to take social media influencers’ prowess to another level: to cross-promote for one of our esteemed real estate clients. Selling a lifestyle is always a goal in real estate public relations. We decided to take a unique approach to promote the ultra-luxurious lifestyle of Palm Beach real estate client 3550 South Ocean by curating an Influencer Happy Hour at 3550 South Ocean’s sales gallery with lifestyle, fashion and food bloggers. Between the pre-event, live and post-event coverage from the influencers, thousands of people were exposed to the real estate project because of this one event. 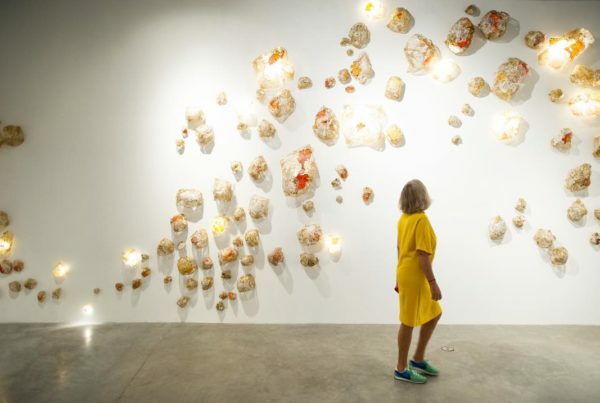 At the event, attendees also learned about the project, developer DDG and architects GarciaStromberg | GSFstudios of Palm Beach, and Kobi Karp Architecture of Miami. By thinking out of the box, we executed this event which had a lasting impact. We worked hard to uncover the right Palm Beach partner/influencer (Eat Palm Beach) to work with, who would bring the right people from all over Palm Beach County to attend the event, and showcase partnerships with companies such as Perrier Jouet, MOKE, Eau Palm Beach, Kendra Scott and Strong Boalt. MOKE even shared photos on their social media pages and tagged 3550 South Ocean, exposing the project to their followers as well. We also made sure that it was the right time to host an event like this. Season is just kicking off in Palm Beach, Boca Raton, Fort Lauderdale, Miami and all over South Florida, making it the perfect time to ramp up efforts and get the project’s name out there. Even weeks later, the influencers are still posting about the event and tagging 3550 South Ocean. To ensure that we would get great coverage, we worked with Eat Palm Beach to create an “Instagramable” moment with a large “3550” balloon to make for a great photo opp for the influencers. After all, it’s all about quality content! While we were on-site at the event, we posted live on 3550 South Ocean’s Instagram so people could follow along with all the fun. After the event, we made sure to search the attendees’ Instagram pages and repost any Instagram Stories from the event to 3550. 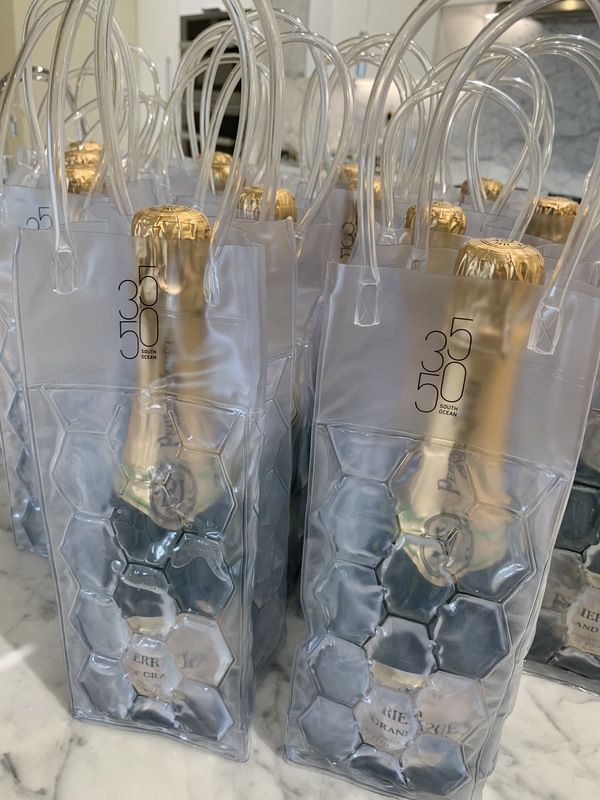 As guests left, swag bags were given to each of the attendees with insulated wine bags that we coordinated, custom logoed pop sockets, selfie lights, and more. Of course, we wanted to incorporate a charity aspect to the event ― Hannah Campbell, associate director of education for Loggerhead Marinelife Center, addressed the group to introduce the efforts of the organization, which works in education, research and rehabilitation for ocean ecosystems and endangered sea turtles. Every attendee even got a certificate for a sea turtle adopted in their name! Yep, we’re ALWAYS thinking of new and exciting ways to promote our clients. 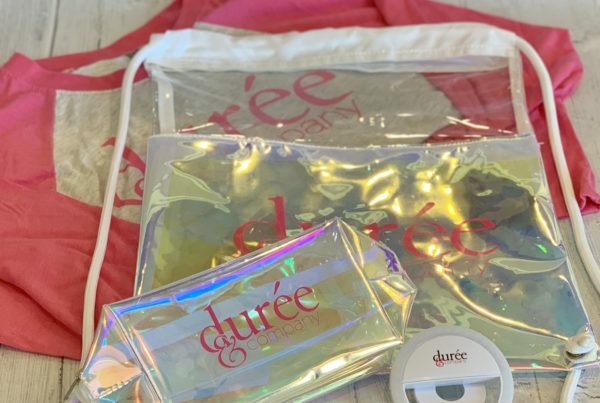 Social media influencers are some of today’s hottest sources to gain buzz ― and we at Durée & Company have a lot of other tricks up our sleeves. Just you wait and see.